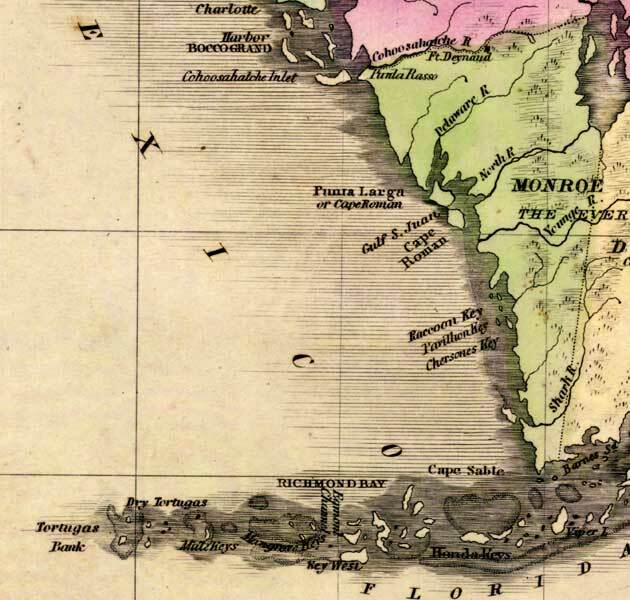 Description: This detail of a 1842 map of Florida shows roads, railroads, counties, forts, naval depots and other military installations, major towns, rivers, and lakes for the Monroe County. Several waterways traverse Monroe County including Delaware River, North River, Younge River, and Shark River. The Keys are detailed with labels. Longitude is shown from Greenwich at the top of the map, and Washington at the bottom of the map. The map scale is in &quoe;American Miles."